Apple Moving DFW wants to be the mover you choose when you’re comparing Dallas-Fort Worth moving companies! Apple Moving DFW knows the difficulty in choosing a residential moving company or a local mover for your office relocation. The choices for a moving company in Dallas are in the hundreds, and if you start looking at moving companies that operate nationwide, finding someone becomes even more difficult. 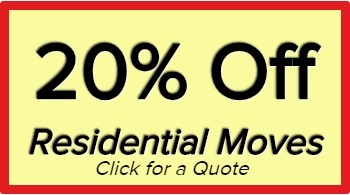 On one hand, these are your most prized possessions, so trusting them to a reputable moving company is imperative. But on the other hand, there are many quality local moving companies that seem reliable, but the prices are immensely different.